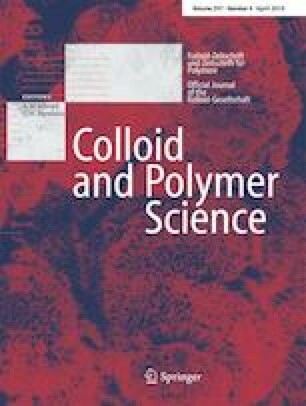 An interpenetrating double network hydrogel based on cellulose backbone and poly-dopamine dendritic structure was successfully prepared with the advantages of controlled hydrophobic drug loading, pH-responsive ability, and long-term bacteriostatic property. 13C-NMR was used to process the structural characterization and explain the mechanism of hydrogel system’s construction. Hydrophobic drug of ciprofloxacin with carbonyl group can evenly carry in the hydrogel system, and the highest loaded ratio of ciprofloxacin was reach to 80.56%. Besides, the swelling property and the controlled drug loading ability of our prepared hydrogel were carefully studied, which showed a close relation with the hydrogel design. Moreover, the in vitro drug release experiments demonstrated that the hydrogel had an obvious pH-responsive release property of ciprofloxacin, and the result of bacteriostatic experiment also showed a long-term bacteriostatic effect on Escherichia coli, which showed potential application on biological and medical fields, including wound treatment. The authors thank the Natural Science Foundation of Heilongjiang Province of China (E2018002), the National Natural Science Foundation of China (51403030), and the University-Student Innovative Experiment Project Fund Support for Northeast Forestry University (No. 201710225277).